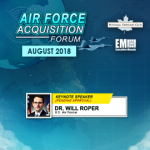 TYSONS CORNER, VA, July 10th, 2018 — The Potomac Officers Club — a division of Executive Mosaic — will be hosting the Air Force Acquisition Forum on Aug. 8 at 2941 Restaurant. 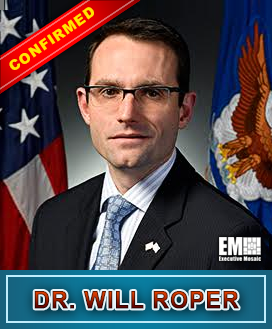 Dr. Will Roper, Assistant Secretary of Acquisition, Technology and Logistics for the U.S. Air Force, will serve as a keynote speaker at the event. Information on other speakers will be provided at a later date. 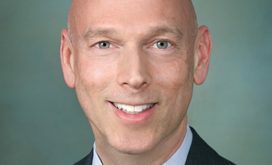 The forum comes on the heels of the two-year budget deal passed by Congress and signed into law in February, allocating $700 billion in defense spending for 2018 and $716 billion for 2019. 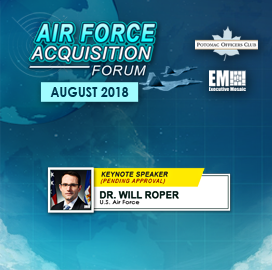 Join the Potomac Officers Club to hear Dr. Will Roper and other public and private sector leaders discuss changes in the Air Force acquisition process and culture, and learn how to position your organization to secure more contracts with the service branch. “The Potomac Officers Club is honored to host the annual Air Force Acquisition Forum at such a crucial time. 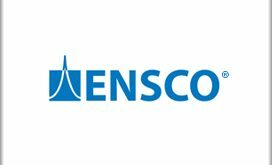 Under the new spending bill signed by the president, the Defense Department is seeing a 2018 year-over-year spending increase of $94 billion, the largest since 2003 when the nation was in the midst of Afghanistan and Iraq combat operations,” said Jim Garrettson, president and CEO of Executive Mosaic. 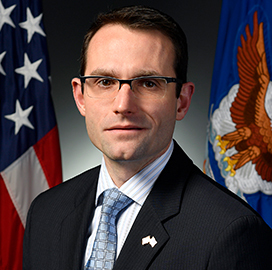 “The Potomac Officers Club is inviting GovCon sector leaders to join us as we discuss potential contract opportunities with the Air Force, in light of this favorable spending climate and new developments in the branch’s acquisition process and culture,” Garrettson added. The forum will be held on Wednesday, Aug. 8, at 2941 Fairview Park Drive, Falls Church, VA.